When you visit the family oriented office of Pan Pacific Dentistry, you can be assured that you are receiving top-notch dental care. Cosmetic Dentist, Dr. Ray Pan and his team go above and beyond to provide the comprehensive dental services you and your family deserve. All dentistry services are completed in-house at our convenient Covina location. Part of our commitment to serving our patients includes providing information that helps them to make more informed decisions about their oral health needs. This website is a resource we hope you’ll find both useful and interesting. You can read Reviews about our office, watch dental videos as well as find information about the services we offer. Dr. Pan has has hands of a angel. I'm in that small 5% that don't use anastisia when having a root canal done ( for personal reasons ), and unbelievably made it with minimal pain! For this reason I have been coming here with my family for over 4 years! I had gum disease, jaw bone loss and the old dentures did not fit. Everything got taken care of. Now, everything is perfectly fine. High level of services for a fair price compare to estimates from other dental offices. Very good experience. I had a not so attractive smile. I had braces and now I’m comfortable with the look. I feel really calm and comfortable, before I was scared to go to the dentist. I love Dr Pan's office and staff, they are friendly and are very motivated to help everyone. I have been seeing Dr. Pan for 14 years and my experience at Dr. Pan office has been excellent. My son's and I have had our braces, and the treat is easy and fast. Love you all!!! The best Dentist I have ever been to! I have been going to Dr. Pan, DDS for many years. This doctor is by far, the most meticulous Dentist I have ever been to. I recently got Lumineers for my top and bottom teeth. They are the best investment I have made. I love them. Dr. Pan and associates are truly professional. 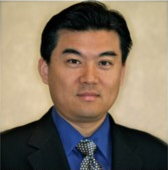 Dr. Pan gives exceptional service and he sincerely cares about each patient. He takes the time to communicate and listen to all your needs. Dr. Pan is the best dentist ever seen! Dr. Pan is a very compassion and skilled dentist. He always go extra mile to care for his patients. Ivan is very nice and experienced office manager better than most I've seen at other physician offices. Gaps in teeth and protruding. I’m very pleased with the result of the braces. Dental health is the best it’s ever been. The staff is professional and courteous. Thank you for your kind service for my daughter and I. You and your staff make my visits great. I hope you will be my dentist for years to come. West Covina, California Dentist, Dr. Ray Pan is dedicated to cosmetic dentistry such as Teeth Whitening, Veneers, Dental Implants, Crowns and more.